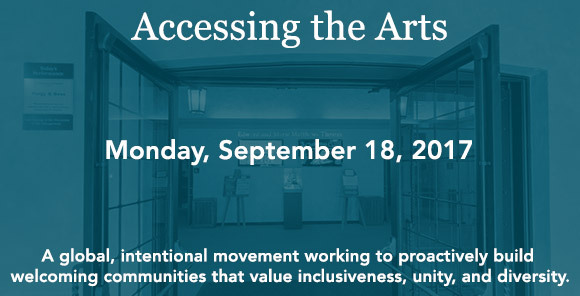 As part of its commitment to engaging and making the arts accessible to all people, McCarter Theatre Center is proud to participate in Princeton Welcoming Week. We invite our neighbors of all ages, backgrounds, and cultures to come to meet members of the McCarter staff and multilingual community hosting partners from The Berlitz Princeton Language Center and tour our facilities. We’ll share information about McCarter’s theatrical offerings for 2017-2018, as well as about our exciting and eclectic music, dance, and special event programming, which features artists of national and international renown. We’ll also provide tips on how to access our performances, educational programs, and volunteer opportunities. A skilled teaching artist from our After School program will engage school-age students in theatrical play and offer a fun, interactive experience—families with children are especially encouraged to attend! Refreshments, hand crafted by The Gingered Peach, will be served. All are welcome, reservations are not required! McCarter Theatre Center values diversity and inclusivity in the arts, the workplace, and our neighboring communities. McCarter Theatre Center is proud to partner with Berlitz Princeton Language Center and The Gingered Peach for this community event.